The building blocks of innovation and the lifeblood of manufacturing, minerals have long been used in high-tech products and heavy equipment. Now leading U.S. manufacturers are also using minerals in additive manufacturing, also known as 3-D printing. The process that transforms minerals into components of jet engines and ultrasounds is cutting thousands of dollars in costs for manufacturers. Welding 15 to 20 small parts is now a two- or three-step procedure and the process saves raw materials by eliminating the need to chip away metal that will not be used in the final product. The first heart model was a cross-section that was printed in clear material with colored arteries, which allowed the doctors to see specifically how the arteries went through the heart muscle abnormally. 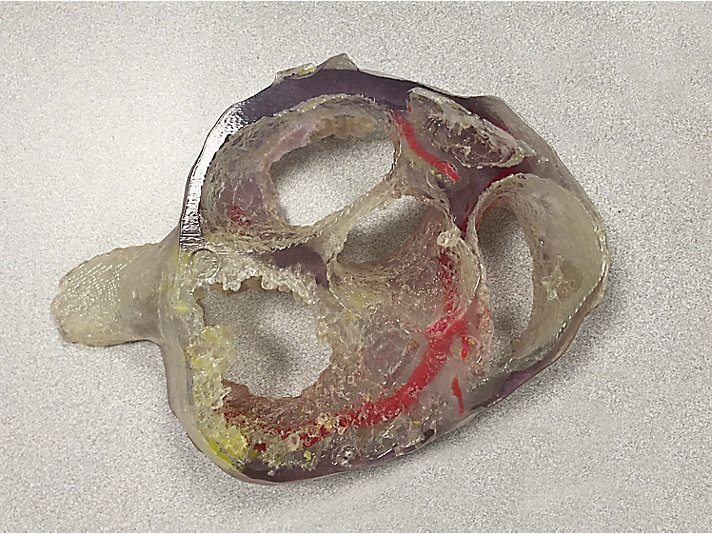 The second model was printed in a flexible material, which allowed the surgeon to identify exactly which portion of muscle needed to be removed, and actually practice the surgery on the model. In addition to providing a critical tool physicians can use for improving patient care, the out-of-the-box project also provided an opportunity for engineers to learn more about the technique of 3D printing and the capabilities of Caterpillar’s machines. Additive manufacturing will enable America to improve healthcare, and Caterpillar has proven to be an important partner in spurring this life-saving innovation.